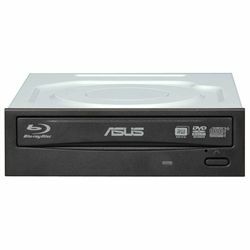 Burn 16X DVD+/-R discs with an internal 5.25" optical drive that reads almost every Blu-ray Disc, DVD and CD format. With 12X Blu-ray Disc read speeds and support for Blue-ray 3D, it's one of the best drives for Blu-ray Disc playback. Built-in technology increases burning success rates by pre-testing discs and applying the optimal burn strategy to balance speed and quality. Includes Cyberlink software including PowerDVD 10, and E-Green and E-Hammer software.